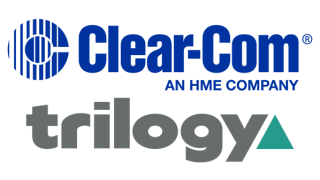 HM Electronics, Inc. (HME) today announced that it has completed the acquisition of U.K.-based Trilogy Communications through its subsidiary Clear-Com, a global provider of real-time communication solutions. Trilogy is a supplier of intercom solutions and master reference generators for the broadcast, defense, and industrial sectors. Clear-Com expects this acquisition to strengthen its presence in the broadcast market and accelerate its penetration in the defense and industrial sectors. Trilogy will continue operation as a wholly owned subsidiary of Clear-Com, LLC. Clear-Com will work to incorporate the Trilogy intercom product lines—namely Gemini, Messenger, Mentor, and Mercury—into the Clear-Com portfolio to reach a broader global market. Trilogy’s head office will remain in Andover, Hampshire, U.K.